ELIGIBLE SWIMMERS An ITP (Intent to Participate) entry form for each gala is produced and emailed out by the squad administrators to eligible swimmers. Entry forms are also posted on this page. Details of the gala format and cost per event are included in the form. 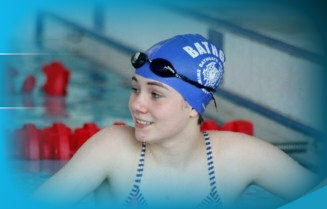 Full Meet Info for most galas can be found on the swimscotland website. SWIMMER CONFIRMS AVAILABILITY Confirm by email to your squad administrator whether you will attend the gala and which events you which to enter. Attendance must be confirmed strictly before the closing date indicated on the entry form. ENTRIES The club competiton secretary collates the entry and emails the electronic entry file to the gala organiser. The club pay the gala fees up front for all entries. At this stage the swimmer is now liable for the gala fee subject to their entry being accepted. Squad administrators advise in an email what those fees are for each swimmer. A list is published on this page of the club web-site detailing the swimmers entered. ACCEPTANCES After the competition's closing date the organisers issue a draft program which details which swimmers have been accepted and also lists reserves and over-subscribed swims. The club then produce an accepted swimmer list which is posted on this page on the club web-site and also emailed out by squad administrators.GALA FEES SHOULD NOW BE PAID (see below). PAYMENT OF GALA FEES PAYMENT TO BE MADE PREFERABLY BY BANK TRANSFER (SAME BANK DETAILS AS USED FOR YOUR MONTHLY FEES) **REF YOUR NAME AND GALA NAME**. PLEASE EMAIL basctreasurer@outlook.com TO ADVISE PAYMENT HAS BEEN MADE. ALTERNATIVELY PAY AT THE CLUB FRIDAY NIGHT DESK (Cash or Cheque). The fee must be paid before the gala date. The club reserves the right to refuse entry to future galas if there is an unpaid gala fee from a previous gala. RESERVE SWIMMERS Reserve swimmers are refunded their entry fee only if they attend the meeting and do not get allocated a swim. Refunds are not sent to clubs if reserve swimmers do not attend the event. In most galas reserves will get a swim although this is not guaranteed.